We will meet across the bridge from the pool. **Always check our Facebook page for up-to-date weather decisions! Keep Up With SLAM'n Minot! Join SLAM Minot on Instagram! Contact the SLAM Minot Team! Lauren is an ACE certified Group Fitness Instructor and a RYT 200 Yoga Instructor. She is certified in CPR/AED through the American Red Cross. 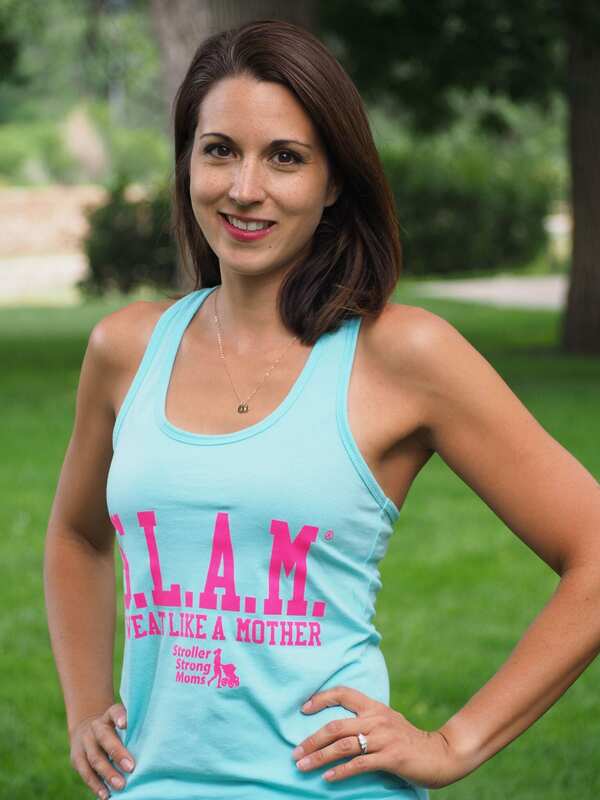 Lauren is a proud Air Force wife, and while stationed at Fort Leavenworth in Kansas, she found Stroller Strong Moms and a tribe of unbelievably strong and supportive women. She knew she had to bring this amazing program to a whole new set of mamas! Lauren lives in Minot with her husband Brandon and her two active boys, Jackson and Beckett. Lauren’s favorite way to sweat like a mother is through bootcamp style workouts, weight training, and a sweaty yoga sesh. Lauren is an incredible instructor! She offers challenging and creative workouts so you and your muscles never get bored and is always there to encourage you every step of the way. Lauren’s workouts are real killers but sooo much fun! She is always encouraging and keeps you motivated to push just that little bit harder. Lauren is always friendly and welcoming and her energy is contagious! If I could describe Lauren in one word it would be “DRIVE”. My first conversation with her at SLAM was that she was studying for 3 different certifications (2 of them fitness) in the same season of her life. She believes she can do anything (and crushes it every time, might I add), and she will make you believe that, too! I had the privilege of watching her grow as a new fitness instructor at SLAM Leavenworth. It is no surprise that she was a teacher before because her workouts always have a teacher’s creative touch. She’ll work you hard (she’s an incredibly tough athlete herself) and keep your children smiling. Being group fitness certified myself and having a handful of years of experience in the industry, I can truly say that I think she has the passion, dedication, intellect, and most importantly HEART to change the bodies, minds, and spirits of the mamas’ lives she will touch. Watch out North Dakota, this lady is going to make you dream big and touch the stars! Lauren is an amazing person, friend and instructor. I attended a few of her classes and it went far and beyond my expectations. She did a killer workout every time she taught a class. Always with a big smile and keeping you going with positive attitude. You will feel your arms, legs, abs… your entire whole body will be grateful for it (sore for sure!) She made the classes fun with súper creative -never bored and always felt amazing after her classes. I was also super lucky to attend Lauren’s yoga class. Her class was and will always be one of my favorites. She was amazing, she challenged me with some poses and at the same time she stretched us very well and made me fell super relaxed.